To date, 1400 Travelling Kindness Rocks have been mailed. They have been received by individuals in 25 countries. Although we could calculate the costs and time invested, these concrete numbers do not reflect the true impact of this, the founding Otauna program. Instead each Travelling Kindness Rock, like a stone cast into a vast ocean, creates a ripple. It echos through the lives of the recipients, requesters, and supporters. It continues beyond each of these individuals, as the healing they experience in turn touches others in their lives. Below are quotes that paint a picture of these ripples. I want you to feel how there are people who send out strength to you. 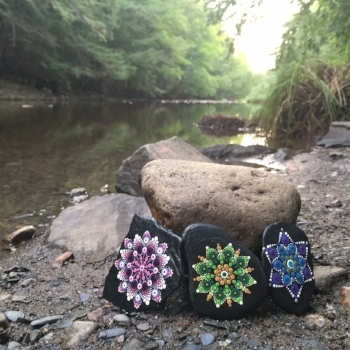 Travelling Kindness Rocks came into my world when I needed a new purpose and focus. Since joining, I have seen how Travelling Kindness Rocks touch others. Please accept this Travelling Kindness Rock that is sent to you with so much love and admiration during your “get myself well again” journey. Your positive attitude is simply amazing, but during those not so strong moments, I hope this beautiful rock will assist you. 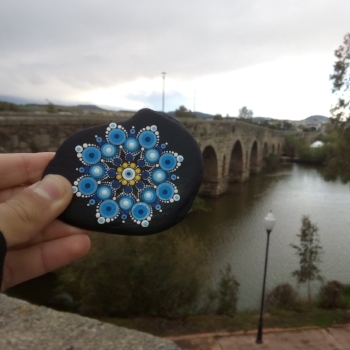 I requested a Travelling Kindness Rock for my sister who has been suffering from depression. I hope whenever she looks at it she is reminded of the kindness of strangers and to look towards the light in times of dark. My mother was diagnosed with cancer a little over a year ago. When we met for lunch she pulled the Travelling Kindness Rock I requested for her out of her purse. 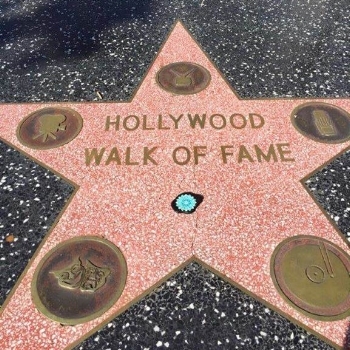 She had just received it that morning. Seeing how happy it made her was the best birthday present that I could have received. During this difficult time, I want you to know that you are loved and supported. May this symbolic rock give you the strength and peace to endure through this painful time. I believe in the vision and mission of Travelling Kindness Rocks. I can imagine what others feel when they receive their rock in the mail. I know as a requester, it gives me a sense of comfort and peace knowing that I can help someone else with this gesture. 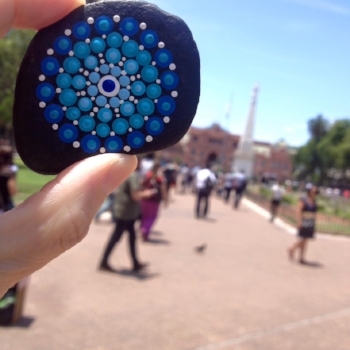 This Travelling Kindness Rock has landed in your hands to be a reminder that although I cannot always be with you, you are always in my heart and mind. I can’t pretend to understand the difficult journey you are on, but I am so humbled and honoured to travel it with you as best as I can.